The OroCRM’s “Embedded Forms” functionality provides for the creation of the code to add to a third-party web-site in order to provide the communication between the site users and the OroCRM team. These may be a request of marketing, technical, commercial or any other nature. The fields of an embedded form depend on its type. 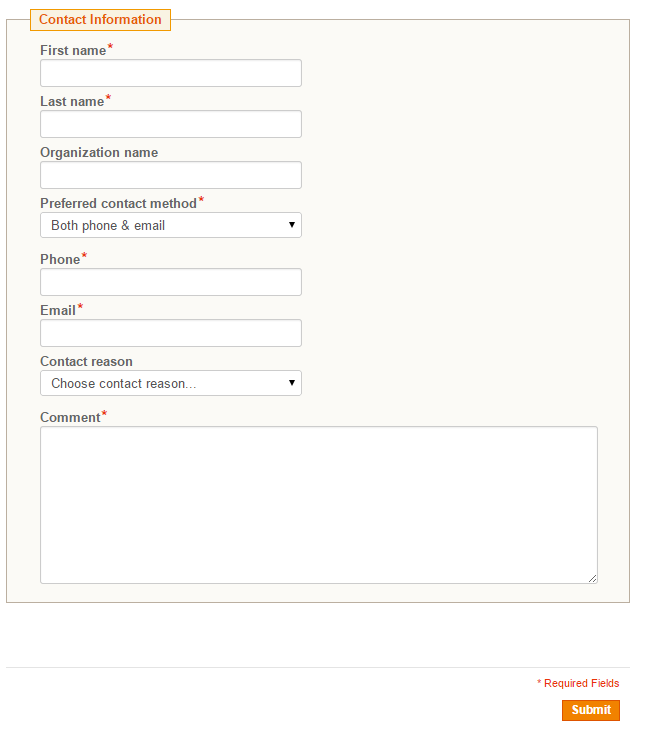 The two out-of-the-box types of the embedded forms are “Contact Request” and “Magento Contact Us Request”. Additional embedded form types may be created in the course of integration with OroCRM, subject to your specific business needs. The form is sharpened for the Magento design, however it can be used for any website. Go to the System → Integrations → Embedded Forms. 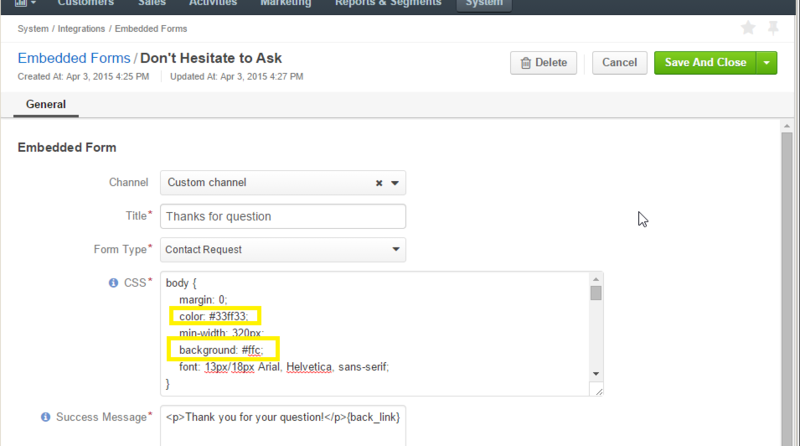 Click the Create Embedded Form button. Channel* The channel from which the form information will be received. The drop-down contains all the channels defined in the system. The field must be defined. Title* The title used to refer to the form in the system. The field must be defined. Choose one of the form types described above. Please note, that while the Magento Contact Us Request type is sharpened to suite the Magento design, you can choose the type regardless of the Channel chosen. CSS* Editable CSS. The default CSS corresponds to the initial form design, subject to its type. You can edit the CSS to change such settings as the border width, color, fonts etc. Success Message* The message to be displayed on the website following the successful form submission. By default is set to Form has been submitted successfully. Click the button in the top right corner to save the form. 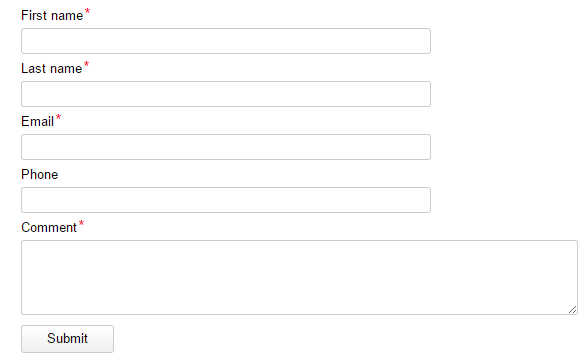 For example, we have created a form for the custom channel. We’ve changed the text color to green and the background to yellow. We’ve also changed the Success Message to “Thank you for the question!”. After we’ve saved it, the form has appeared in the Embedded Forms grid. Open the form View page and go to the “Get Code” section. The code to add your form to the site is available there.